Yep now Easter is over it means Christmas is just around the corner… kind of… so with that in mind Universal have confirmed their seasonal dates. Visit from November 16, 2019, to January 5, 2020, to experience a one–of–a–kind holiday. Don’t just get merry. Add a dash of mischief as you enjoy this resort-wide celebration. Enjoy the views, shows, and food during Christmas in The Wizarding World of Harry Potter. Experience Universal’s Holiday Parade featuring Macy’s. Watch the live retelling of Dr. Seuss’s classic holiday tale starring The Grinch in The Grinchmas Who-liday Spectacular. Next up to be confirmed for Hagrid’s Magical Creatures Motorbike Adventure are the majestic Centaurs. Looks a bit.. Wingy to me…. News just in (as we guessed) that Devil’s Snare is the latest announcement for Hagrid’s Magical Creatures Motorbike Adventure. This coaster that is set to be the most immersive, highly-themed coaster experience yet, and take you on a thrilling journey with Hagrid to the Forbidden Forest to discover the wizarding world’s rarest magical creatures. We’ve already had Fluffy and Cornish Pixies announced and today even though it’s not a creature, Universal said they couldn’t pass up the opportunity to mention this perilous plant from the wizarding world – often strangling people who touch it with its dexterous vines. Devil’s Snare flourishes in damp, dark environments and it has a strong dislike of light and fire – remember that for your journey! The fourth creature is a majestic being not to be confused with a horse or human…. Disney’s Hollywood Studios is set to celebrate its 30th Anniversary on the 1st May, it is going to be the perfect opportunity to celebrate the past, present, and the new, exciting future of Disney’s Hollywood Studios as the park continues to evolve into a thrilling destination where you can let your adventure begin. 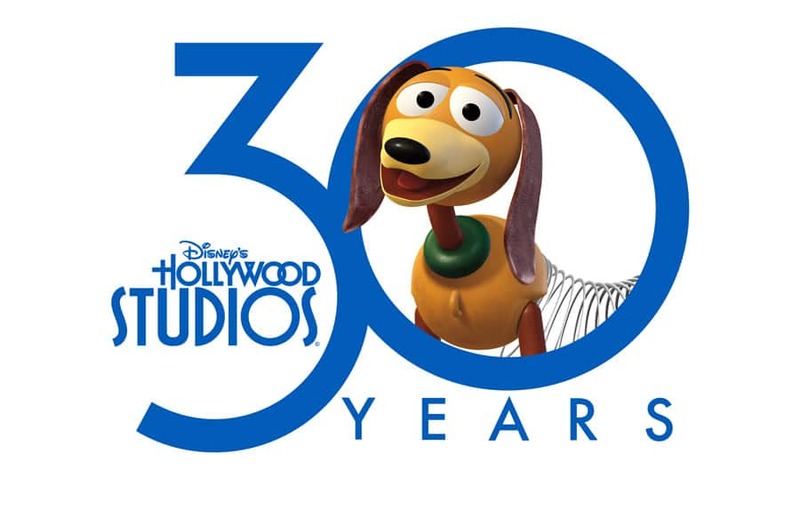 Grab Exclusive 30th Anniversary Merchandise – Special 30th anniversary merchandise will be unveiled on May 1, including a new adult T-shirt, baseball cap, Tervis 24-oz tumbler, MagicBand, ornament and much more. Taste Special Food & Beverage Items – A slew of special anniversary food & beverage items will be available throughout the park, including Kylo Ren Cupcakes, Incredibles Macarons, Tres Leches Verrine and many more. Stay tuned to the Disney Parks Blog next week for an official foodie guide! We told you Universal would be announcing another creature today and our guess at what it would be was correct… Say hello to the Cornish Pixies! The next creature to be announced is ‘an extraordinary plant with constricting magical abilities. WARNING – STRUGGLING WILL ONLY CAUSE IT TO TIGHTEN ITS GRIP.’ Devils Snare anyone?…. Remember Hagrid’s Magical Creatures Motorbike Adventure opens on the 13th June! Everything in Star Wars: Galaxy’s Edge has been carefully crafted to ensure that everyone who visits experience has an immersive experience that has never been seen before. Disney have released lots of food and drink options that will be available to get in Galaxy’s Edge and yesterday they revealed speciality Coca-Cola bottles that travellers will only be able to find in Batuu. As we were developing the incredible experiences that guests will explore when Star Wars: Galaxy’s Edge opens we knew that we wanted to create something truly special – something that will bring your own Star Wars adventure to life in a whole new way. We reached out to our friends at Coca-Cola, and along with Lucasfilm Ltd. came up with specially designed Coca-Cola bottles that are designed to fit authentically within the Star Wars universe. The unique Coca-Cola products were created with storytelling in mind and are unlike anything Disney have done before. These are sure to be in high demand throughout the galaxy and will make a great memento that you can use time and time again. Mine will definitely be used as a water bottle for my desk when I get my hands on one! Are you going to be grabbing one of these on your visit to Galaxy’s Edge? The closer we get to the 13th June the more information Universal are going to be revealing about their new attraction! Hagrid’s Magical Creatures Motorbike Adventure will be found at Islands of Adventure in the Hogsmeade section of the park and is the replacement for the much loved coaster, Dragon’s Challenge. Today Universal gave us an up close look at Hagrid’s favourite canine Fluffy. We thought we’d be getting Halloween Horror Nights news yesterday and when it didn’t come we were all a little glum… so when we got this confirmation today we did a little spooky dance in celebration. Imagine yourself transported back to Ancient Rome where a ruthless emperor reigns and gladiatorial games are put on for bloody entertainment. Add in bloodthirsty creatures and you’ll find yourself in the middle of Nightingales: Blood Pit – an all-new haunted house at this year’s Halloween Horror Nights. Here’s what you need to know about the next chapter in this fan-favorite original storyline of the nightingales. Ancient Rome is suffering its worst drought in centuries. The ruthless emperor has declared the gladiatorial games to continue nonstop until the rains return. The gruesome bloodshed of the games is horrifying enough, but then come the creatures. Nightingales: Blood Pit joins Stranger Things for this year Halloween Horror Nights which will offer 10 haunted houses, 5 scare zones, live entertainment and more. You can grab your tickets for this award winning event at Orlando Attraction Tickets. After a 20-year run, Disney bid a fond farewell to “IllumiNations: Reflections of Earth” at Epcot on September 30, 2019, for the last time guests can gather around World Showcase Lagoon to enjoy the breathtaking display of lasers, lights and fireworks, as they get ready to launch two new nighttime spectaculars as part of the park’s unprecedented, multi-year transformation. Debuting October 1, 2019, Epcot Forever will be an all-new, limited-time spectacle of fireworks, music, lighting, lasers and choreographed, special effects kites. The show will take you on a journey through the past, present and future of Epcot. Featuring a stirring collection of songs that paint a colorful picture of the park, this nighttime extravaganza will offer both a trip down memory lane and a look towards the future and all the magical possibilities still to come. Disney Parks Live Entertainment is busy getting “Epcot Forever” ready for its opening day. Show Director Alan Bruun recently shared some details about the concept behind the show and the team’s collaboration with noted conductor and composer Don Harper, who is producing new arrangements of classic Epcot tunes to weave into the soundtrack of “Epcot Forever.” Check out this video for all the info!! Epcot Forever will continue into 2020 which when the next epic nighttime extravaganza makes its debut… No details have been released on this yet but stay tuned! Who’s excited to see Epcot Forever and to see the new spectacular in 2020? !